Glen Miller wrote: When was the last time 4 different people won the slams in a year? All the way back in 2012. Federer destroyed, two massive opportunities for 18 this year. First final without a member of the big four since 2005. Only one Grand Slam in four years for Federer. Federer hasn't won a Grand Slam final against someone not named "Andy Murray" in five years. ResurrectionRooney wrote: Federer destroyed, two massive opportunities for 18 this year. First final without a member of the big four since 2005. Does Murray even deserve to be involved in a big 4? I'd say so, he's an Olympic Gold Medalist, he's won Wimbledon and the US title and he's been in several finals. He's not on the same level as Nadal or Djokovic but he's still got a much better claim than anyone else bar Federer. Thought it was a shoe-in that Federer would get to 18, then Nadal would pass him. Don't think either will happen now. I think we can safely say the Big Four era is over. You mean the big three? 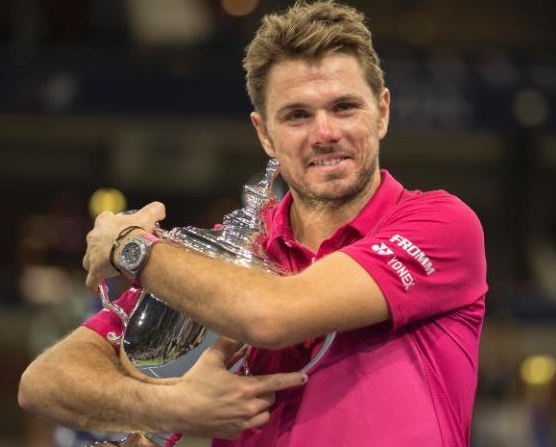 I am not sure whether I prefer having Federer/Djokovic win every title in sight or nobodies like Goran Ivanišević sharing the spoils. Stranger wrote: You mean the big three? I think you could certainly say there was a Big Three as well, but there was a long period where you knew who they best 4 players in the world were and nobody would really argue with it. Now there's only a Big One in that respect. Glen Miller wrote: I am not sure whether I prefer having Federer/Djokovic win every title in sight or nobodies like Goran Ivanišević sharing the spoils. I definitely prefer a few superstars myself. If I turn on the Wimbledon Semi-final and see it's two guys who got knocked out in the Last 16 in the last event and probably will at the next one I'm probably changing the channel unless I like one of them for some reason. If I see two of the greatest of all time who have each won many grand slams facing off for a shot at the world No. 1 in the final then I'm probably spending half the day watching it. Yeah, I liked it when Nadal and Federer were in their prime. The 2008 Wimbledon final sticks out for me. Djokovic is obviously a machine but I don't find him all that entertaining as a casual tennis fan. Glen Miller wrote: Yeah, I liked it when Nadal and Federer were in their prime. The 2008 Wimbledon final sticks out for me. Djokovic is obviously a machine but I don't find him all that entertaining as a casual tennis fan. That match will stick with me for the rest of my life, it was absolutely amazing. There's an old man at the helm of men's tennis.